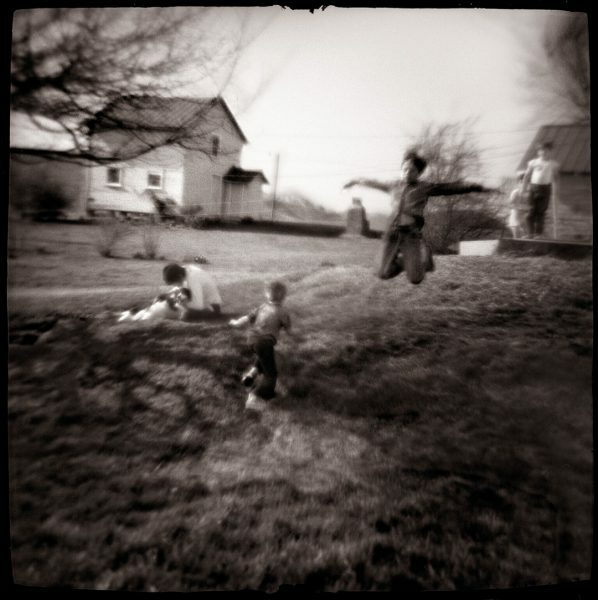 Dreamy Photographs Taken with a Toy Camera Retrace a Rural Midwestern Childhood #ArtTuesday « Adafruit Industries – Makers, hackers, artists, designers and engineers! Maybe in the feathery orb of a dandelion’s seeds, ready to be blown into the wind, or the carefree play of two kids sprinting down the street, you might catch a glimpse of your childhood, even if the place is far from that home. Between 1970 and 1976, photographer Nancy Rexroth created a series of images in rural Ohio that capture some of that longing, which she titled IOWA for her own remembered childhood in that state. The monograph was initially released in 1977, and has long been out of print. In September, the University of Texas Press reissued IOWA for its 40th anniversary. Rexroth’s photographs, in black and white, and later in the book washed with a tonal gold, were taken with a Diana toy camera. The fluidity of the resulting images, where the focus is imperfect and the perspective skewed, instills a sense of fleeting time. 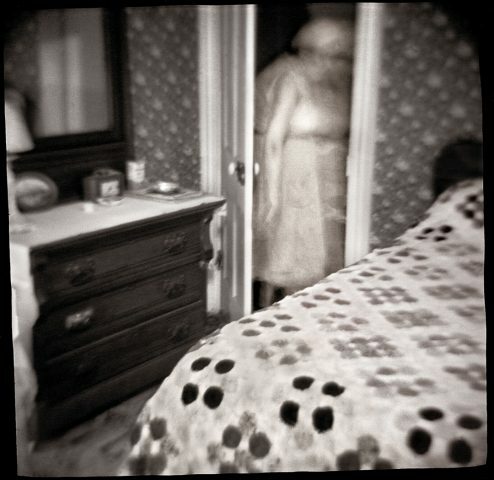 A portrait of Rexroth’s mother with her hair lifted towards a cloudy sky gives the impression that this subject will soon soar away; an angle of white sheets on “A Woman’s Bed” is a stark, ambiguous emptiness alongside a dark frame, bordered both by the wooden furniture and the photograph’s vignette edge. “In the right hands, light becomes time and memory, and Nancy Rexroth took that cheap camera and bent it to her will, producing images redolent with feelings, memories, and unspoken thoughts,” writes photographer Mark L. Power in a postscript. 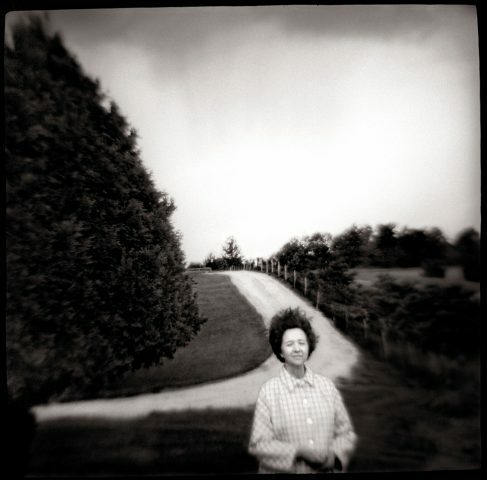 “Nancy brought not only an artist’s sensitivity to her images but also intelligence, an intelligence that made ephemeral feelings tangible.” Power previously contributed an essay to the 1977 edition, which precedes the photographs (including 22 that were previously unpublished), along with new writing by photographer Alec Soth and curator Anne Wilkes Tucker.